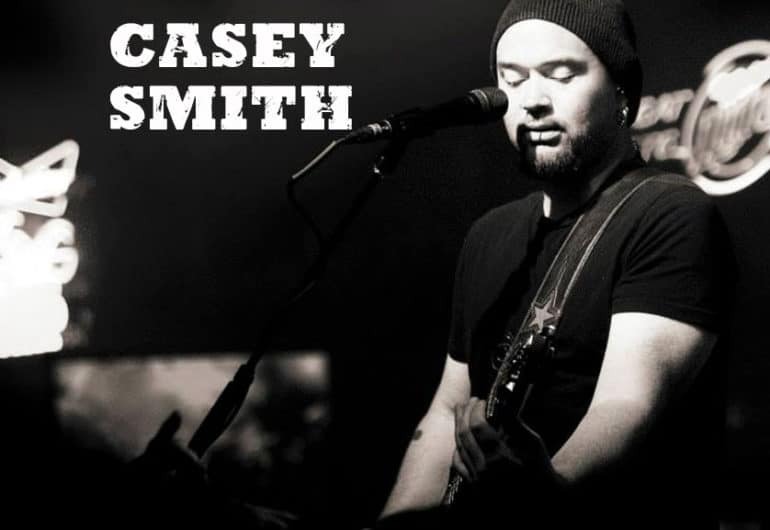 Living in Minneapolis, MN, Casey Smith has worked hard for his place in the musical community. After growing up in Fargo, ND and attending College at Moorhead State University, receiving a Degree in Jazz Performance, Casey moved to Minneapolis to become the guitar player for regional phenom, Jesse Lang (sibling to Jonny Lang). Making their way around the country and playing countless shows with national acts, Casey left the band to pursue other interests. After a short stint with another regional phenom, Tim Mahoney, he was asked to join up with Scarlet Haze, a very up and coming original rock group that within a very short 1 and a 1/2 year start can already brag to sharing the Target Center with Bon Jovi and winning a Minnesota Music Award for best rock recording. Make sure to check out Scarlet Haze to see Casey’s thick guitars, clever improv work and powerful vocals, as well as the acoustic group The S.O.B.s (Singers On Barstools).